The communities for which healthcare organizations operate are rapidly diversifying. Not only do they provide care for a diverse community of patients and families, but their workforce is also growing more diverse. It is incumbent on healthcare organizations and their leaders to both understand and embrace the needs of diverse populations. Their ability to respond to the needs and preferences of a broader customer base will be critical to their financial and operational survival, but they first must understand what their implicit biases are to do that. 1.5 Face to Face Credits will be awarded! The ACHE-NJ is committed to maintaining a top-ranking level of member satisfaction. Your feedback is important; it helps us continuously improve the quality of our programs, products, and services. Please take a timeout to tell us how we’re doing! Walk MS brings together passionate people who connect in communities nationwide and raise funds to change the world for everyone affected by multiple sclerosis (MS). 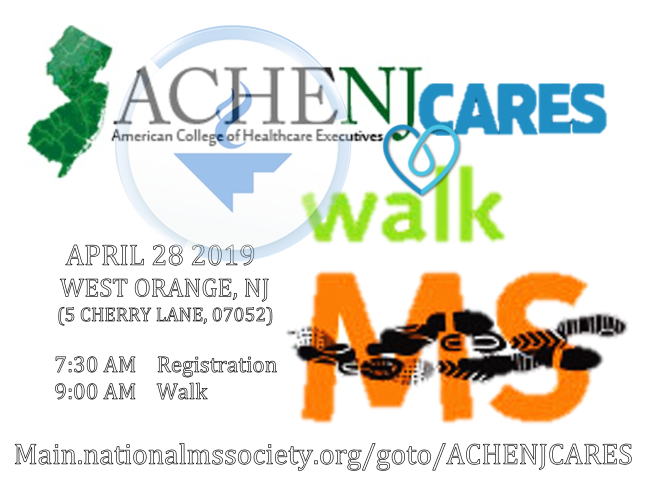 Our ACHENJ CARES team is uniting to end MS forever, and we invite you to donate or walk! 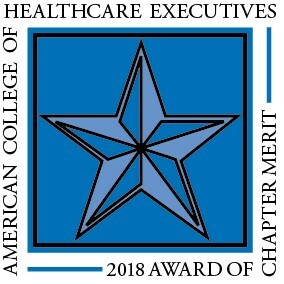 As proud recipient of the 2018 ACHE District 1 Regent-at-Large Award for Chapter Accomplishments in Diversity, the ACHE-NJ has become one of six chapters in the United States, Canada, and Mexico to be recognized for their commitment to and successful execution of significant diversity and inclusion efforts within their chapter, community, and the healthcare management field. #MyFellowWomen is ACHENJ’s first ever women-focused advancement initiative. Our goal is to help ensure that women have equal opportunity and representation in positions of senior leadership through advancement to Fellow of the American College of Healthcare Executives (FACHE). Consumer-driven services in business and the need for efficiency are accelerating changes in the way organizations operate and compete. Many consumers today are taking greater control of their purchasing power and healthcare decisions and are demanding excellence in service. The challenge is how to give them the best service in a meaningful and economic way. Find out how on March 14th at the ACHE-NJ’s Reinventing Customer Service in Healthcare event, featuring Michael Antoniades, founder and chief executive officer, Alfa Healthcare Group, LLC; Barbara Karpinska, vice president, ambulatory care services, Rutgers Health Group at University Hospital; Dr. Kenneth Sable, president, southern market, Hackensack Meridian Health; and Joseph Scott, FACHE, executive vice president, transformation, RWJBarnabas Health.